Official mod tools available, as well as a wide selection of mods, which often support bots for co-op play. Expansions do not work with the Origin version. OS X version only sold in bundles. The Origin digital release is patched to v1.612. In order to check which version is installed, open the file <path-to-game>\Mods\bf1942\init.con and find the line game.setCustomVersion. After the shutdown of GameSpy, the community set up a new master server to keep the server browser functional. Either download a modified executable or edit the hosts file to restore online functionality. Open hosts with an editor like Notepad. Add the line 109.71.69.254 master.gamespy.com and save the file. This will break online fixes for other GameSpy games that rely on the same method. The Origin version doesn't contain or support PunkBuster. as such it is recommended to move the contents of <path-to-game>/pb/ to a backup folder, to avoid any disconnects by its service. If an up to date version is required however, follow the steps below. 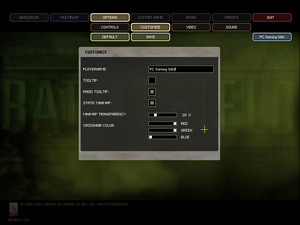 Enable PunkBuster in-game in the lower left corner of the server browser. Delete or rename the files Dice.bik, EA.bik, Intro.bik and Legal.bik. User-specific *.con is stored under Profiles\<user-id>\ in this location. See the WSGF entry. Requires manual fix for online play support. See Widescreen resolution. HUD slightly stretched. 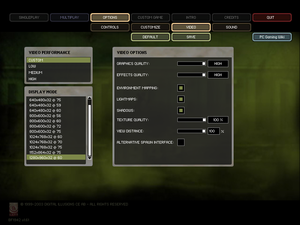 MSAA can be forced in graphics card control panel. Capped at 100 FPS. Can be unlocked by setting renderer.lockfps inside VideoDefault.con to the desired frame rate (e.g. 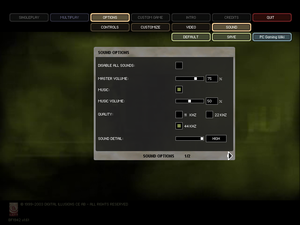 renderer.lockfps 144 for 144 Hz; default value is 240) or by typing renderer.lockfps 300 (for 300 Hz) into the console. 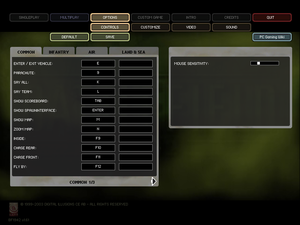 No general support but crosshair color can be adjusted. Open VideoDefault.con with a text editor. Edit the line renderer.fieldOfView with a new value. May cause visual glitches when inside vehicles. May not work properly when combined with windowed mode, Borderless Gaming, and multiple monitors. Only for vehicles. Mouse look can't be mapped to analogue sticks. Download patched server files to allow communication with the community master server and both Origin and CD users to connect. In-game option or use +joinServer parameter with IP:Port. Either run the installer or install it manually using the batch file. Remove any compatibility mode setting on the games executable and activate "Run this program as an administrator". Change game.setHardware 1 to 0. Add the line renderer.allowAllRefreshRates 1. The console can be accessed by pressing ~. Below are some common commands, for a more extensive list visit the TweakTown Tweak Guide. 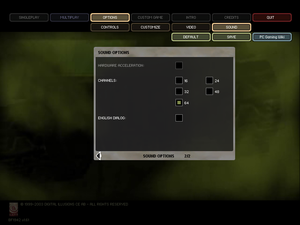 fps 1 Shows frames per second. hud 0 Disables heads-up display. freecam 1 Unlocks the camera while waiting for spawn (if allowed by server). Mods are mostly compatible with the Origin version of the game. However, some installers may not work as they look for the retail installation path. This mod is set during the Gulf War and supplies an arsenal of modern weapons and vehicles, and many new maps. 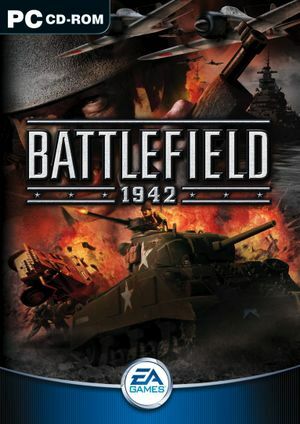 Forgotten Hope concentrates on adding both a more realistic and more enjoyable playing experience than the original BF1942 and includes many new specially designed custom maps to play in. BattleGroup42 focuses on adding historically accurate equipment and battles to the game and includes many nations not included in the original game or expansions such as China, Greece, Netherlands and Hungary. A total conversion which takes place in World War 1 and includes many new weapons, vehicles and maps. A mod based on the Vietnam war which later got releases for Battlefield Vietnam and Battlefield 2. This enhancement mod will improve the AI on the standard BF1942 maps and includes some balance changes.